Prepare to make several phone calls to report SSN theft. You are right if you worry about the theft of your social security number and properly cautious to look into reporting the incident. The Social Security Administration assigns the social security number, or SSN, and recommends that you keep the number confidential. Someone who steals your SSN can gain access to your personal information and apply for credit, housing and numerous benefits. Identity theft victims often find out about the crime when they are denied credit or discover in other ways that their personal information is being misused. Reporting the theft of your SSN is the first step in regaining control of your personal information and finding out the extent of the problem. Gather the information and documents you will need to provide information when you call the Social Security Administration. If possible, have your Social Security statement available. The statement, which the SSA mails annually to workers over the age of 25, lists your earnings and the amount of money you have contributed to the Social Security system. Contact the Social Security Administration to report that your social security number has been stolen. The agency’s toll-free telephone number is 800-772-1213. Representatives are available to speak with you Monday through Friday, 7:00 a.m. to 7:00 p.m. You will be asked for information to confirm your identity. Review your earnings with the Social Security representative to confirm misuse of your social security number and identify incorrect information in your records. Call 1-877-IDTHEFT, or 1-877-438-4338, to report the misuse of your social security number, especially if someone has attempted to open credit accounts or tried in other ways to steal your identify. The IDTheft reporting program is part of the Federal Trade Commission’s Identity theft services. People who are deaf or hard of hearing may use the TTY telephone number, which is 1-866-653-4261. 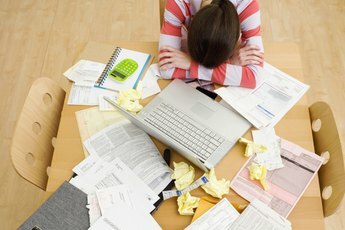 Perform the four steps recommended by the FTC’s Identity Theft program if you suspect identify theft of fraudulent opening of credit accounts: call the three credit reporting agencies to place a fraud alert on your credit reports, close suspect accounts, file a complaint with the FTC and file a report with the local police department. Contact the Identity Theft Protection Unit at the IRS to report the theft of your SSN, which can result in incorrect reporting of your earnings and which also can be used to file fraudulent tax returns. Call the unit at 1-800-908-4490. If reporting the theft of your SSN does not resolve the problem, contact the social Security Administration about assignment of a new number. The SSA suggests calling after Tuesday, when hold times are shorter. The agency’s TTY number for people who are deaf or hard of hearing is 800-325-0778. You can review your Social Security Statement to check the earnings against your employment records. Call the SSA toll-free number to request a statement if you do not have one. How to Find Out if My Name Is on ChexSystems? 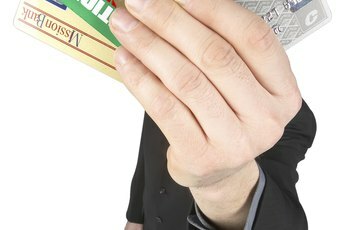 What Is Credit Card Sniffing? 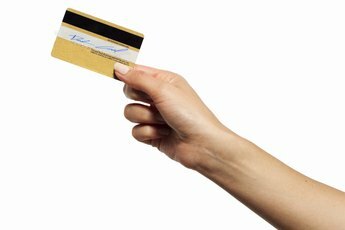 "When You Swipe Your Credit Card, Does it Take Just the Numbers?" 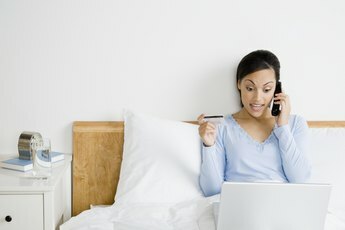 How Long Does it Take to Correct a Fraudulent Credit Card Charge?